Truxaw and Associates is a civil engineering and land surveying company, serving California, Nevada, Arizona and Texas for the last 40 years. 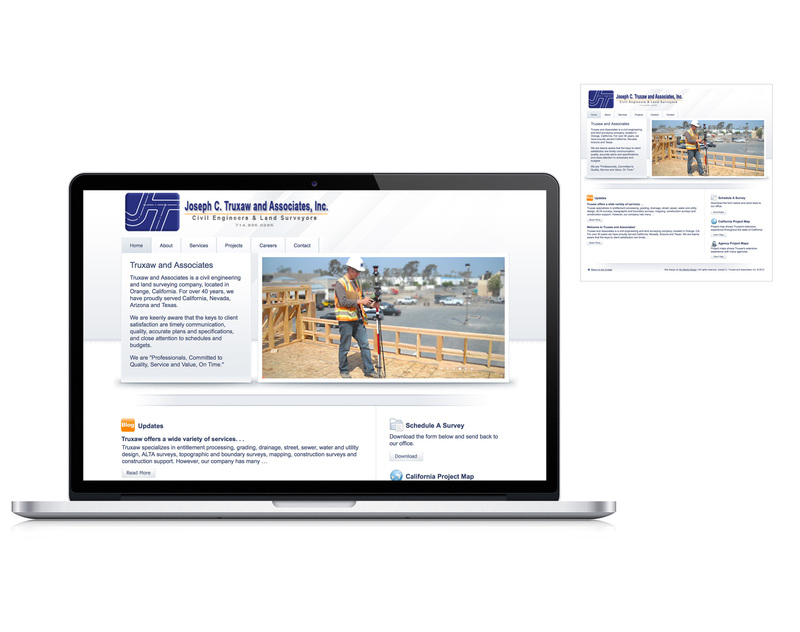 We worked with Truxaw to develop a professional website that helps showcase their many diverse projects and services. As well as website design we also worked with Truxaw to create marketing pieces and specific photography they use for marketing.